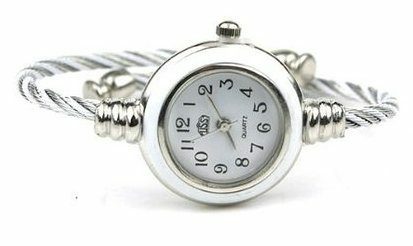 Silver Twisted Band Watch Just $4.40 plus FREE Shipping! You are here: Home / Great Deals / Amazon Deals / Silver Twisted Band Watch Just $4.40 plus FREE Shipping! Head over to Amazon and get this Silver Twisted Band Watch for just $4.40 shipped! I love the look of this watch, and the price is even better.